Loose notes – Fukushima postponed Coppelion!! Sincerely, I don’t understand this administrative decision, this is the second anime that I watched, that don’t aired when it was supposed, due to an actual event. Yes, this anime is about a nuclear meltdown, but it is fiction, it don’t have fault of Fukushima disaster, this anime story could work as a warning to more disasters and futuristic projections of what life could be and where human’s greed leading us. The other postponed anime was Beelzebu, because reasons, I don’t know (don’t remember)! It’s a decision that I don’t understand. 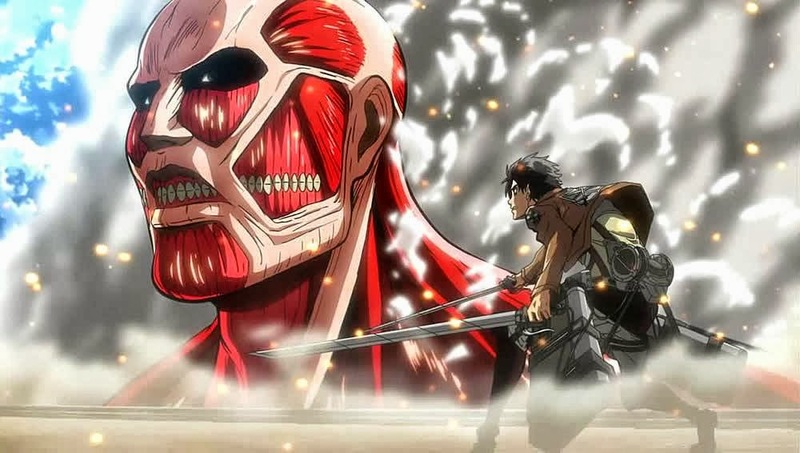 What is the fear of an anime airing with a current (polemical) theme? I tried to investigate (without any success) if the story was only delayed or it was changed. After seeing the full season I think it was changed! The story focus changed dramatically after episode 3, changing the course of the anime from a destroyed Tokyo to other theme! The opening reflected pretty well Coppelion, a great start followed by a great loss of focus. I always say the opening has to work as a trailer to the anime, and this opening did its part. I think that the opening reveled much of the anime moments, no space for any surprise and in a 13 episodes season, the story was damaged! 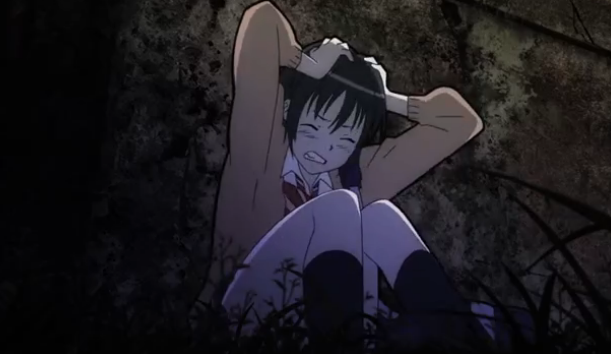 I confess that I couldn't understand animation's style of Coppelion (and I didn’t like it either). The outlines of the characters were to exaggerated, it seems they (the characters and the set) were different elements and in anime it's a bit awkward! But I have to be fair (actually not, but in this case I will be) this style makes a clear distinguish between humans and Coppelions, and it gave a more artificial aspect to the Coppelions! I can’t analyze the anime without explaining what is a Coopelion? Coppelion are humans genetically changed to support extreme radiation conditions! I will divide the analysis between two topics: the part I liked and the part that I didn't like! The rescue story was pretty nice, when the Coopelions are only exploring a destroyed capital, suffering with the state of the city and the resilience of the survivors to stay and resist to the rescue. The Coopelions in extreme conditions suffered for save the survivors. In their first attempt to save a family with 3 members only one survives. This anime presents to us the dilemma of the survivors, mostly ex-convicts (stay free or go back to jail) and the moral of the responsible for the disaster and its rehabilitation to feed and give conditions (radiation suits) to the survivors who stayed in capital. While the focus remain in rescue, in chaos, in corruption (maybe this was the real cause of the postponement ), in political decisions and in human greed who led to destruction, Coopelion was great (the first 4 episodes)! Begins with the question if they are only dolls controlled by the government, to play them whenever and how they want and easily disposed if necessary! The story and the world built in the first episodes was dropped and starts to be about a military group that control the capital after the disaster (also abandoned by the government to die). As the anime opening spoils about Coppelions fighting Coppelions, to prove that they are not dolls controlled by the government, removed all the surprise when unfortunately happened! Each Coppelion started to earn a specific power and gained the personality of the person which has been cloned! We watched then a parade of powers, from super vision, resistance, super strength to electric powers! When the story and its quality dropped, a detail of this anime started to gain some relevance! It’s a fact that 99% of the anime is based a school scenario or at least the characters are students! I really don’t care, but in Coppelion it simple doesn’t make sense! They are a military unit trained for a specific mission! They were not trained in a high school (I think), if they are a military unit why they are dressed with a school uniform?? Simply doesn’t make sense! It's a military mission and they aren't equipped for that! And to end the criticism, I think I watched to the most annoying character of all the anime that I watched and its name is Aoi, is simply annoying! Well this is the easiest prediction that I will do, although there is some room to a second season (What happens to the Coppelion, lifespan, mission, society acceptance), the anime ended it a irrevocably, end of production message. So, there will not be a second season, I think that it won’t be required by the anime fans community unlike High School of the Dead 2, I’M STILL WAITING!!!!!!!!!!!!!!!!!!!!!!! If a second season is produced, I’ll probably watch because I think this anime has capability to much more, depending the director / manga writer focus!